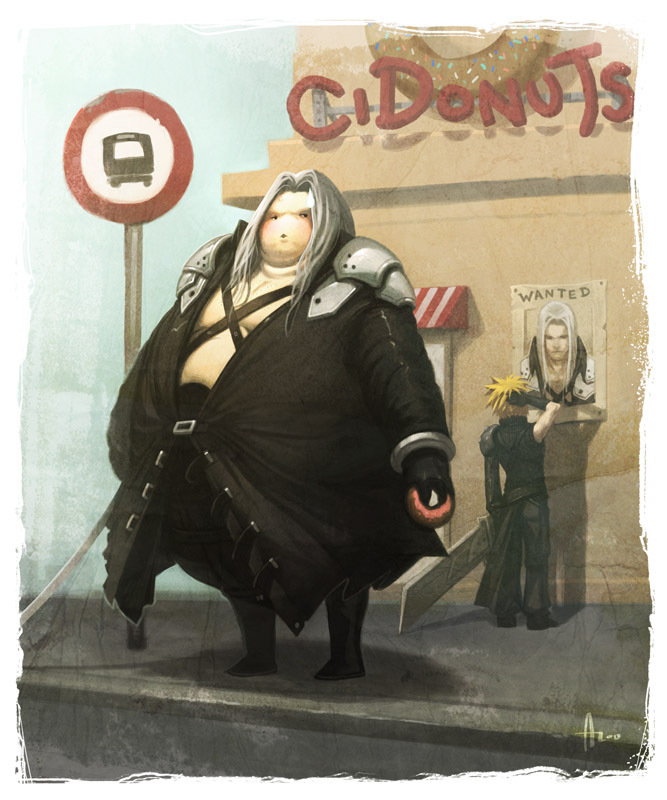 How would Sephiroth react if he found out about his family life? I always wondered how would Sephiroth react if he found out who his true mother was and everything that Hojo did? Would make him go crazier or would it make him question his evil actions? I know it will never happen be addressed but it is something that would have been interesting to see. He'd kill Hojo and everyone involved in that project, kill SOLDIER, just because "they're a product of Hojo's experiment." and later kill himself. so basically, he'll be the same crazy dude? I think he's to far gone to even care about it anymore. Na, in all honesty, I think he would probably just go on another rampage. Good too, I hate Hojo. Great character but he is seriously messed up. Not like he'd kill his real mom and dad or something. Lucrecia is trapped inside some crystals and Vincent killed Hojo. He'd have a villainous breakdown, screaming about how all he did for 13 years was pointless. Could also involve some sort of time travel thingy. I wouldn't say all that he did for 13 years was pointless. He did amass quite a bit of power more than he had previously. I thought Sephiroth went crazy because of learning the circumstances of his conception? Why would you need to tell him the same thing twice considering he'd do the exact same thing. Perhaps if they had told him this after destroying JENOVA, he probably wouldn't have gone crazy, but he definitely would have went on a rampage to destroy SOLDIER and ShinRa. "You chose to believe, even if it wasn't true... That is all." He would aim to please mother. Well he tried to destroy the planet because he found out he was made like everyone else in ShinRa was, he'll probably do the same.